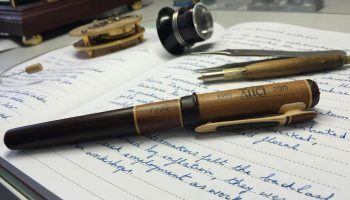 There is no doubt that the new models are fine examples of skilled labor; the exquisite result of collaboration between the Ateliers d’ Arts. The 39mm version in 18-carat rose gold, features a carved rooster on the dial with a background of Grand Feu enamel work. 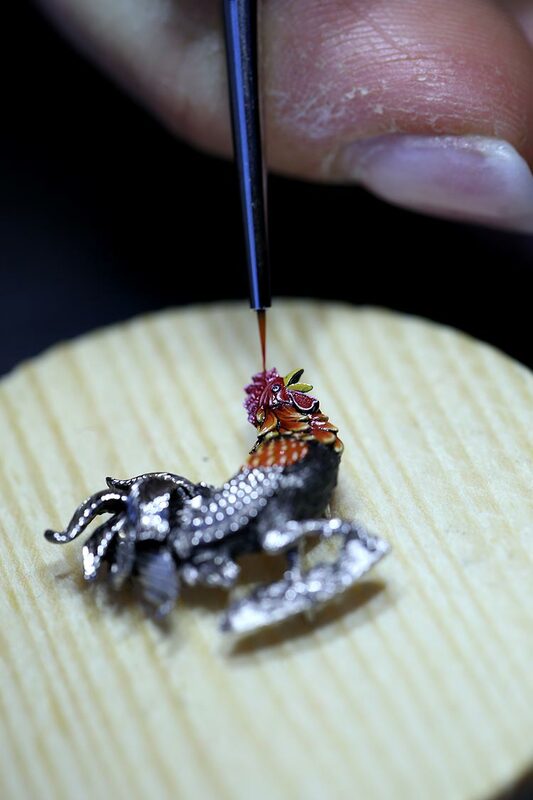 A second version of this dial in 18-carat gold shows a blue hand painted rooster. Then there is a 39mm model in rose gold with a hand painted rooster and a box of 35mm rose gold features diamonds, also with a rooster painted on the dial. 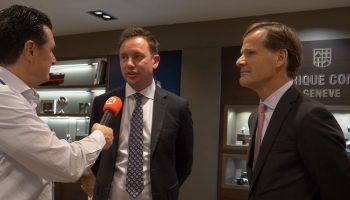 Jaquet Droz traveled the world and his fascination and fondness for the East and Chineze civilization is legendary. 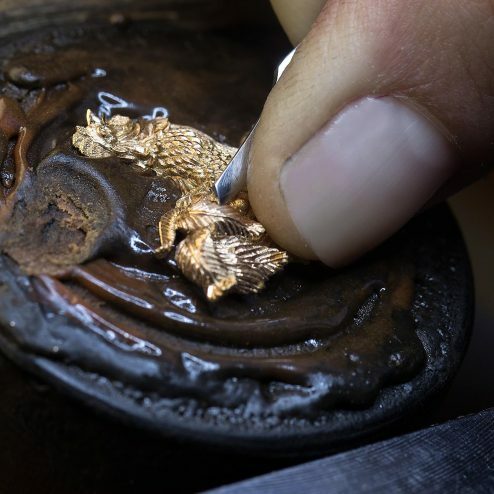 It has influenced the man profoundly: the historical pieces on display inside the Forbidden City bear witness the bond between the watchmaking brand and this continent-country. The craftsmen of the Ateliers d’Arts have created two new models based on the iconic Petite Heure Minute that are each available in two versions. Two of the models pay tribute to miniature painting. 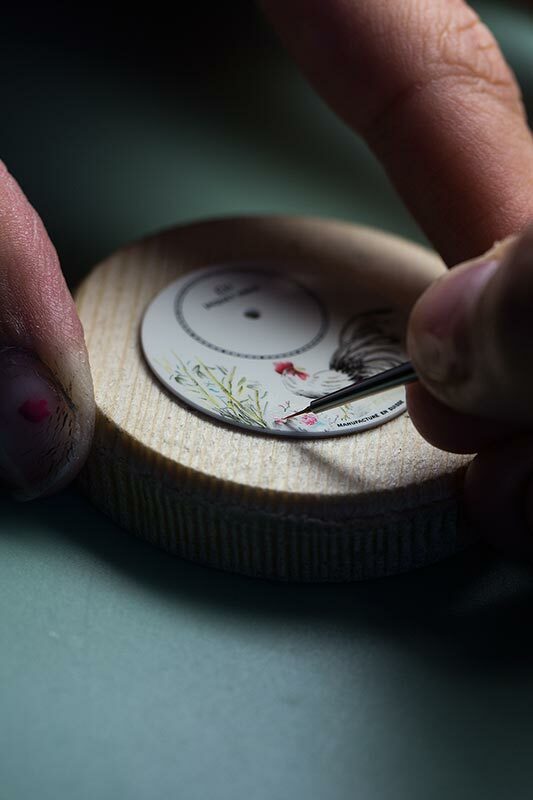 The rooster, which is accompanied by peonies (known as “the Queen of Flowers”) to represent springtime renewal, is depicted on the underside of the hand-engraved oscillating weight in a watercolor style to echo Chinese calligraphy masterpieces. To the left of the dial, bamboo shoots represent yet another promise of happiness, that of a year full of youth, rectitude and resilience in the face of adversity. The miniature sculpture technique was used for the other two precious models. 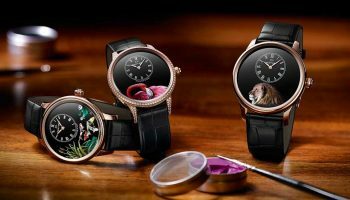 Limited to 28 pieces, the first Petite Heure Minute Rooster combines volumes of red gold and with a dial inlaid with jadeite and mother-of-pearl, which are hand-engraved in the Jaquet Droz workshops. 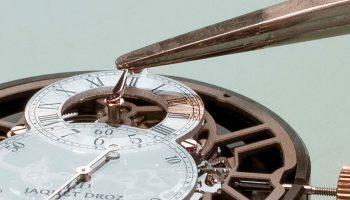 The dial is then patinated and hand-painted in monochromatic shades that enhance each relief. 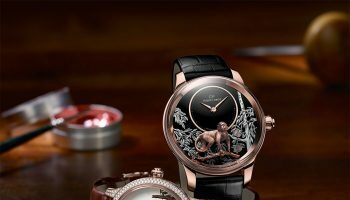 It is a interesting mix of the skills of the Jaquet Droz Ateliers d’Art and traditional Chinese painting. 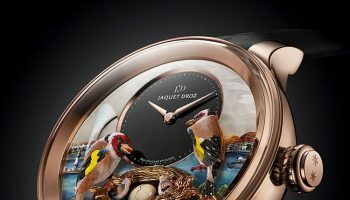 Jaquet Droz has also created a limited edition of eight entirely hand-painted pieces illuminated by glistening rooster feathers. These realistic paintings complement the radiance of the diamonds and other precious stones featured on the pieces. This work is repeated again on the oscillating weight, which is crafted in gold, engraved, patinated and decorated in jadeite. 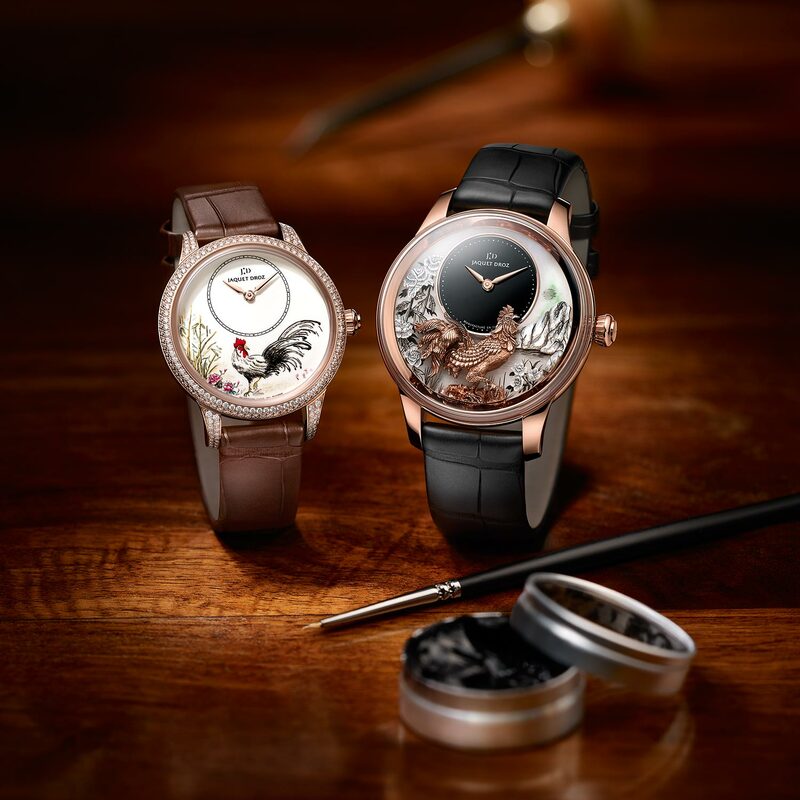 Featuring a movement with a double barrel and a silicon escapement, these four models show that gemstones, sculpture and miniature painting go hand in hand with the fascination of the maison with China.